Mammal. 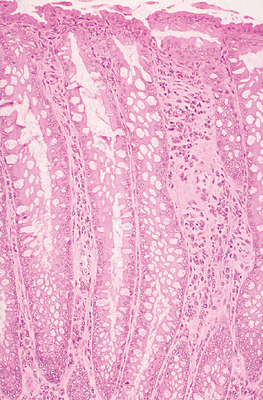 Through the large intestine, showing absence of villi and changes in muscular layers. Goblet cells are numerous. 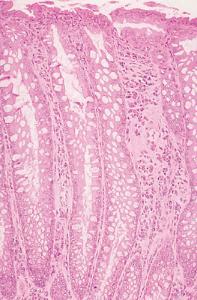 Through the large intestine, showing absence of villi and changes in muscular layers. Goblet cells are numerous.